We would be happy to give you a free estimate for your project. Estimates are based off of the square footage of the area to be worked on, with additional costs for specialty items. Examples of items that would add additional costs to an estimate are: stair treads and risers, backsplash designs, shower alcoves and benches, fitting around existing plumbing and appliances, and transitions between rooms. 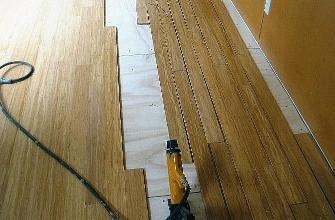 Often times, remodels on older homes involve extra costs in leveling the subfloor and patching damaged areas. With all of these things to consider, we like to look at a project in person, to give the best possible estimate of total cost. There are many things that we can suggest to help you keep costs down, or give you multiple options that you may not have considered. Chris's experience designing and estimating jobs will help you know what you are getting into before the project starts. We will also provide a timeline to completion.